A South Bay community says it will fight a proposal to move a homeless encampment into its neighborhood park. A meeting was called Tuesday night to answer questions about the move at Thousand Oaks Park in San Jose's Cambrian neighborhood, but neighbors said they found out about it only three days ago. 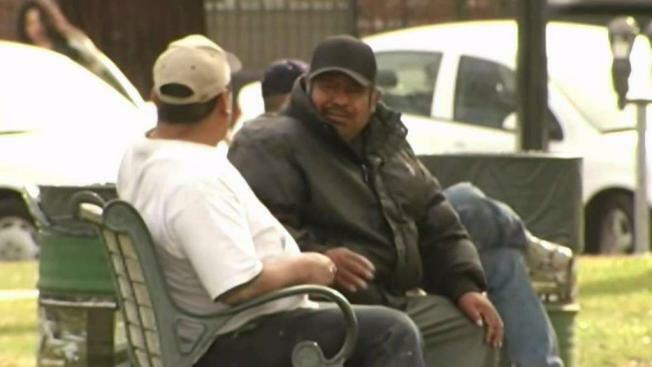 The city is proposing to use a vacant lot at the park to build homes for the homeless. For resident Ted Earle, a walk in the park with his family is a common occurence. But Earle says that may all change if the homeless move in across the street. "This is like dumping a whole sub neighborhood into this place," he said. "It just caught us completely by surprise." The San Jose City Council recently decided that each of the 10 council districts must come up with a proposed site for new homeless communities in their regions, site where the city could place manufactured homes, water and sewage. Some districts had multiple proposed sites. District 9 in Cambrian had just the one. "This is really an attempt by San Jose to say every district should be part of the solution," San Jose's Housing Director Jacky Morales-Ferrand said. Morales-Ferrand said the so-called homeless communities would be temporary, perhaps five years, with only 20 or 30 residents and a property manager on site. Some neighbors are put off by the proposal. "I will put my home on the market and move," Tom Ravera said. "I worked all my life, two, three jobs, to move into this neighborhood. I’m not willing to have that kind of community in my neighborhood." The city insists this Cambrian site is not a done deal but admits it is the only site they are considering right now. The informational meeting Tuesday night takes place at the Pearl Avenue Library.